If you love time travel, historical fiction and a clean romantic escape, this is the book for you! It's a combination that's not easy to find, but Tamara Leigh, an accomplished mainstream author has pulled it off. The minute I saw the book cover and read the synopsis I just had to read it. However, this book is currently only available as a Kindle e-book, so in my eagerness to read it no matter what, I downloaded the Kindle app on my android phone and read the book on it. It was so worth it! And it opened up my appetite for reading e-books. Dr. Kennedy Plain is a sleep disorders specialist who is dying from an inoperable brain tumor. Her chemo treatments have left her weak, emancipated and without her once luxuriant hair. 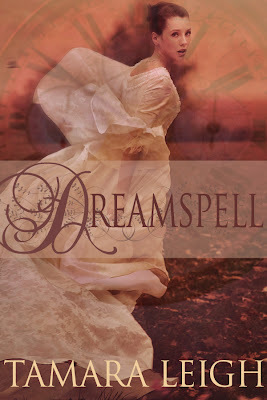 She discovers through her research on sleep deprivation that she can time travel through her dreams, and ends up in the 14th century medieval England, where she becomes embroiled in a plot to save two boys from their seemingly murderous uncle. This uncle is Lord Fulke Wynland, the man she first encounters and eventually falls in love with, changing the course of his and her history. There is no doubt about it, I am Tamara Leigh's newest fan. Her writing, plot and character development, and the ability to weave a believable storyline with a fantastic ending won me over. This is a romantic tale but without the bodice-ripping super perfect swooning heroine and debonaire hero who irritate me in romantic novels. When I read a romantic story I want my characters to be people I can relate to, flawed and suffering, vulnerable and brave, smart but prone to make mistakes. That's what I found in this book. There were times when I found Kennedy to be a little too clueless for an educated woman, but the dialogue, witty comebacks and funny moments made up for it. At times, this was an emotional read because every time Kennedy is pulled back to the present, she is closer to dying. The scene when she is lying in her mother's arms is so touching it made me cry. I raced to finish this book, and when I turned the last page of the epilogue, I thought that this was one of the best self-published books I have read. If you're looking for a great summer read, for a world to escape into, look no further. Dreamspell will take you away. Read an excerpt on Tamara Leigh's website!